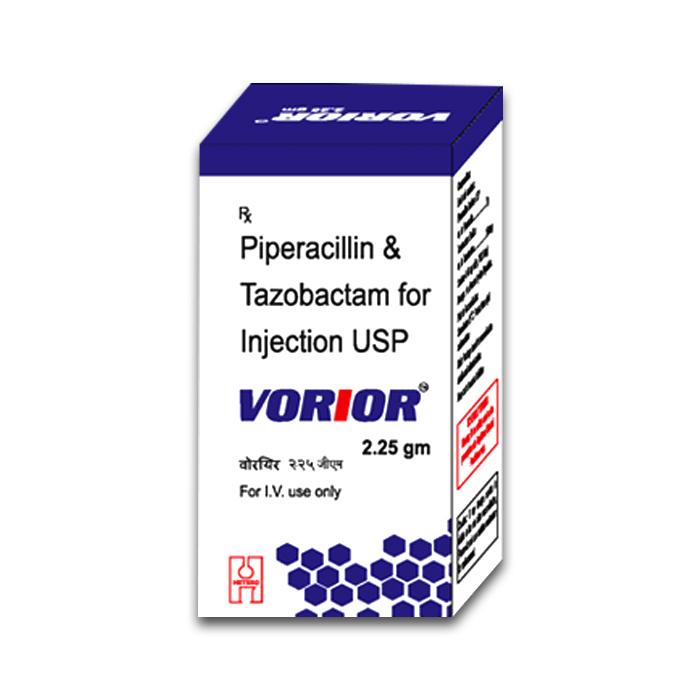 Vorior injection contains Piperacillin & Tazobactam. Piperacillin belongs to pencillin group of antibiotics. Available in two strengths 4.5 gm & 2.25 gm. Indicated for Intraabdominal infections, Diabetic foot infections & Nosocomial Pneumonia, Effective against P. Aeruginosa and gram positive and negative organisms. Vorior 2.25gm Injection is used in the treatment of bacterial infections.